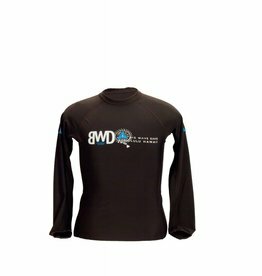 Rashguard for kids. 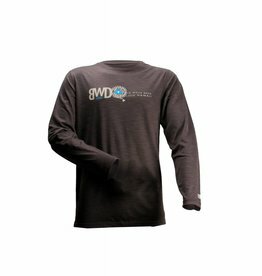 SPF 50 in this long sleeve shirt. Perfect for the kid that just won 't let you lather them up with all the necessary sun block lotion. A wandering spirit fueled by waves and daydreams. 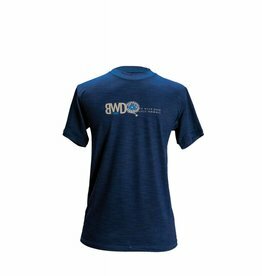 BWD logo is printed onto a coral graphic t-shirt with a relaxed, boyfriend tee fit and short sleeve, crew neck cut. Full length woman surf legging with Tahiti BWD Logo on left thigh . Mermaid tail on right ankle. Perfect coverage . 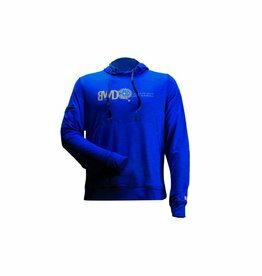 Your answer to surfable function and sun-protection. 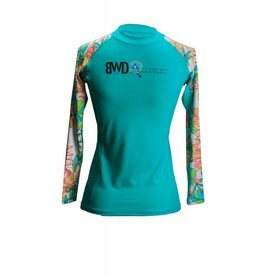 The BWD performance fit rashguard delivers UPF 50+ sun protection with ergonomic seams. 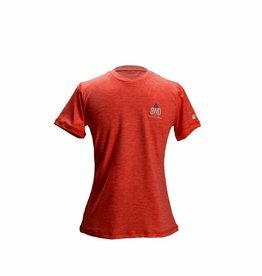 Also comes in adult sizes. 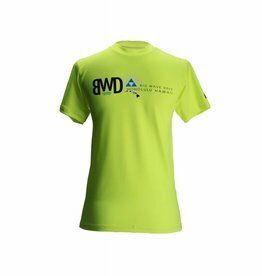 Backwards B logo on a short sleeve rashguard with SPF 50. 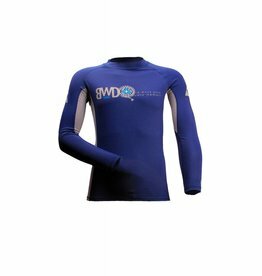 Protect your self everyday from the sun with this form fitting rashguard. 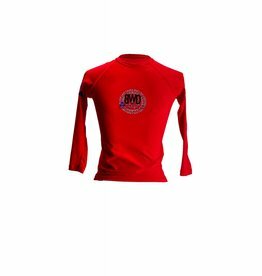 Backward B Logo on a long sleeve rashguard protects your from the sun and any kind of board rash everyday! 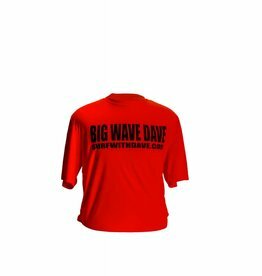 This is a must have for every surfer. Your answer to surfable function and sun-protection. 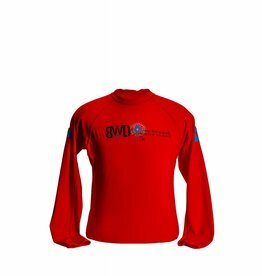 The BWD performance fit rashguard delivers UPF 50+ sun protection with ergonomic seams. 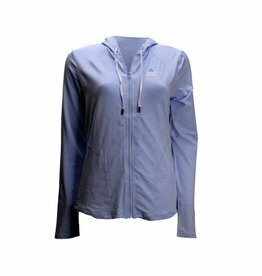 This hooded rashguard protects your baby all day long w/ SPF 50. 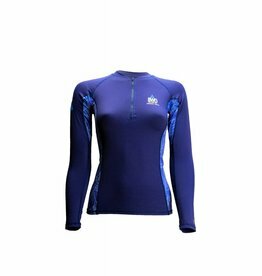 This rashguard is designed with a loose fit for total comfort, in or out of the water. When the waves are pumping, don’t let a little sun burn send you to the beach. 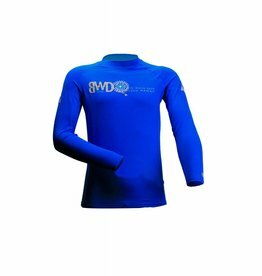 The performance fit, BWD rashguard delivers UPF 50+ sun protection with ergonomic seams and a silky smooth fabric. 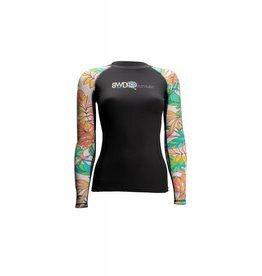 Hang loose and local with the Hybrid rashguard. 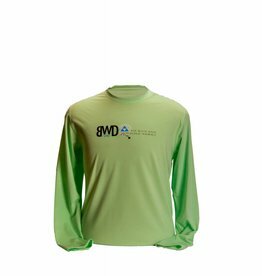 This t-shirt fit rashguard delivers all day sun protection and clean, t-shirt lines for a relaxed take on the traditional rashguard. 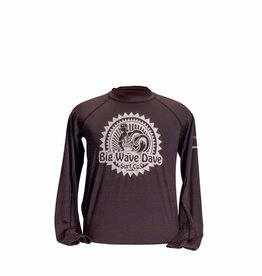 Big Wave Dave Surf Co. Tahiti Logo on a short sleeve lyrica rashguard shirt on front center and on back of shirt also. 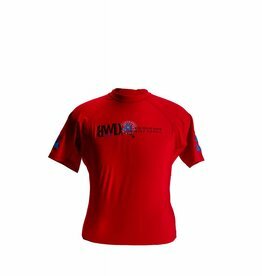 Fits like a tee, feels like a rashguard with silk touch, quick dry fabric. 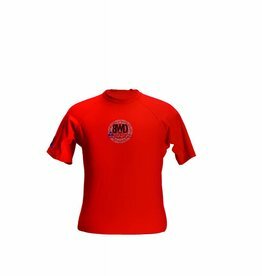 This short sleeve t-shirt fit rashguard delivers all day sun protection and clean, t-shirt lines for a relaxed take on the traditional rashguard.